Spy Games for Schools is an innovative programme designed to meet some of the key requirements of the National Curriculum. Spy Games for Schools is an innovative programme designed to meet some of the key requirements of the National Curriculum, which highlights the need for rich and varied contexts for pupils to acquire, develop, and apply a broad range of knowledge, understanding and skills. It should give students the opportunity to become creative, innovative, enterprising and, capable of leadership to help equip them for the future. 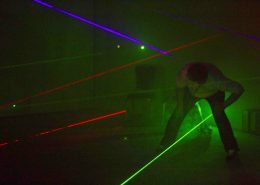 The pupils have to work their way through a series of spy-themed tasks and challenges. 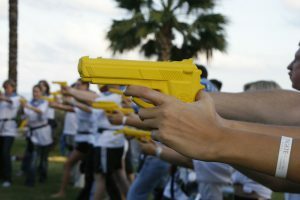 'Spy Games for Schools' was born out of many years of successfully running spy camps during school holidays, gift experience days and birthday parties. We found that children of all ages and gender engaged positively with the varied challenges and with the instructors running them. The parental feedback always commented on the children having had a fantastic time. It became clear that not only do children and young adults really enjoy the challenges but there is also a significant learning opportunity. The programme offers a wide range of challenges that appeal to pupils from Year 4 to those in Sixth Form. Teachers can select those that they feel best suit the group or purpose of the event. Some challenges are predominantly physical and others more analytical and cerebral. 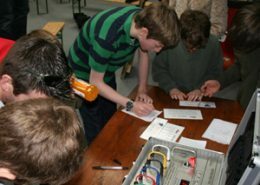 A few examples are: - Code Breaking – who can deactivate the ticking magnetic pulse generator; Laser Room – the agility of pupils will be tested as they try to get past the beams and retrieve vital information; Dead Letter Box – which equipment will help to solve this riddle; Agents International – testing your knowledge of countries. We can bring the experience into schools and can stage the sessions either indoors in a classroom or hall, and/or outside on sports fields, depending on facilities, weather conditions and numbers. 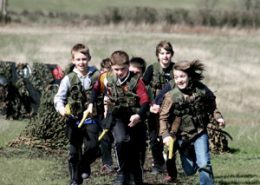 A vital ingredient to the overall success of running an event for children is the instructor on each challenge. The Spy Games instructors are experienced, with the right personality and, work within the current CRB guidelines. The event was very successful and the teachers who have attended our previous provider said how much better and more engaging it was. The students were desperate to win Spy Dollars which I am now converting into House points. The instructors involved were really supportive and enthusiastic which made a huge difference to motivate the pupils to work hard.